All swim classes will be admitted into the locker room 10 minutes before class start time and may enter up until the class start time. No one will be permitted into the locker room after the scheduled start time of class. CLLD Participants are not permitted to use the outdoor pool, towel service, hot tub, sauna, or steam room. Indoor pool and locker rooms are only accessible during designated CLLD swim classes. CLLD participants will only have access to the fitness classes and the fitness center during the sessions listed on the CLLD fitness schedule attached. There is no access to the fitness center outside of the designated classes. Thank you! Please be sure to wear your barcode bracelets at all times while in the Building. We truly need your help! 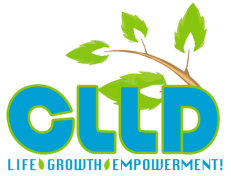 CLLD is looking for a volunteer on Wednesdays 12-2pm during the lunch period. CLLD is also seeking volunteers for Health Assessment Volunteer position. Retired nurses preferred but not required. If interested, or for more information, please contact Janice Salerno at jsalerno@sijcc.com or 718-517-7447. Please note that we are offering Health Assessments Monday-Wednesday in the Social Hall during CLLD lunch 12-2pm.Thursday once a month in the Presidents Room 11am-12pm Diabetes Prevention Program Starting May 12th June 9th July 14th August 11th. * RULE REMINDER: The outdoor pool, sauna, and steam room are amenities reserved for JCC members only. You are only permitted to use the indoor pool during designated CLLD class times. Failure to comply with these policies will result in removal from the CLLD program. Have you had your annual health assessment? If you have 15 minutes, you can learn your most up-to-date basic health info & what it all means. Let us help you figure out which fitness and wellness classes would be perfect for you! Please refer to this updated Fitness/Wellness schedule for all changes. If you have any questions, please contact Carolyn DeVito, Assistant Wellness Manager at health@sijcc.com or call 718.517.7446. Before starting any exercise program, consult a doctor or health care professional to make sure physical activity will not affect any pre-existing condition. Consult a health care professional to assess your fitness level and to design a program that fits your needs and abilities. Start slowly - Walking can be the start of a fitness program. Increase physical fitness and help maintain bone density. Short walks, twice a day, fulfill the American Heart Association's guidelines for 30 minutes of aerobic activity daily. Get proper shoes - Be sure to purchase the proper shoes for the type of exercise. Running shoes are different from tennis shoes. Work out with friends - Exercise is more fun with a buddy. Friends motivate you and help you reach your goals. Stretch - Stretch for 10 to 15 minutes each day. Flexibility helps joint mobility. Yoga is a low-impact exercise that provides stretching, toning and relaxation. Keep active - Physical activity helps you stay at a healthy weight, prevent or control illness illness, sleep better, reduce stress, avoid falls and look and feel better. by attacking skin elasticity. Many resources are available to help you quit. Combined with physical activity, eating nutritious foods in the right amounts can help keep you healthy. Heart disease, obesity, high blood pressure, type 2 diabetes, and osteoporosis, can be prevented or controlled with dietary changes and exercise. As per the NYC’s Department for the Aging guidelines, CLLD provides a “suggested nutritious meal” which includes three ounces of protein, 1/2 cup of grain, 1/2 cup of vitamin fortified vegetables and 1/2 cup of fruit. CLLD meals offer three servings of Vitamin A per week and five servings of Vitamin C per week. Maintain a healthy weight. Extra weight increases your risk for heart disease, diabetes, constipation, high cholesterol and high blood pressure. Get to your healthy weight and stay there by eating right and keeping active. Drink up. Drink a lot of water and non-caffeinated beverages and eat foods with high water content like soups, cucumbers, grapes, and melons unless instructed otherwise by your doctor. Replace sugary drinks with water - water is calorie free! “Rough up” your diet. Include a variety of high-fiber foods every day, such as raw fruits and vegetables and whole grains. They help cut down on constipation; provide vitamins, minerals, fiber, and nutrients and reduce your risk of heart problems. If you’re not sure you’re getting enough fiber, talk to your doctor about supplements. Remember that calcium is critical. Seniors should really bone up on calcium-rich foods like low-fat dairy products A calcium supplement, paired with vitamin D can also help you get what you need. Shop for B12. You should also look for foods, like cereals, that are fortified with vitamin B12. Because of the body’s decreased ability to absorb B12, get more through diet and supplements. • Preventative screenings. By age 50, women should begin mammography screening for breast cancer. Men can be checked for prostate cancer. Many preventive screenings are available. Those who are new to Medicare are entitled to a “Welcome to Medicare” visit and all Medicare members to an annual wellness visit. • Go for your annual doctor visits. This includes your visual, dental, and auditory exams. It is important t understand what to expect. Some changes may just be part of normal aging, while others may be a warning sign of a more serious medical problem. Stay up-to-date on immunizations and other health screenings. for friends and social contacts and fun. Learn the role of positive thinking. Mental health plays an important role in staying completely healthy. Without socializing, people can get lonely and mental problems can ensue. So meet up with some friends and socialize! Seniors who feel depressed or lonely often lose interest in eating. On the other hand, emotional issues may cause some people to eat more and gain unwanted pounds. If you notice a dramatic change in your appetite or weight, see your designated Case Assistant who can connect you with a mental health professional.